Rayqual will soon offer the new E-mount adapters! The New York Times talks about NEX cameras! Sony NEX5 image samples on optyczne.pl (google english translation) and capacamera (google english translation). 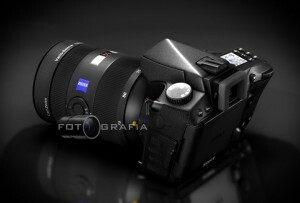 The Sony NEX-3 has been tested on dcview.com (google english translation) and PCmag. The korean website SLRclub posted the second part of their Sony NEX5 review. The article is available in korean only but there are plenty of videos to watch! 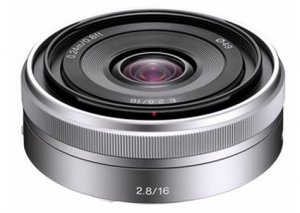 According to Sony Japan the 16mm f/2.8 lens is available in pre-production version only. Expect the “final” lenses to perform better results. Thanks J.V. for sending the link! 1) Indeed, the bodies of the cameras are really small, but the size of the optics is somewhat disproportionate. We did not want to sacrifice image quality to get smaller targets. It is a challenge for our engineers to achieve a reduction in the future the size of the optical and while maintaining its quality. 3) To make the camera body was small, the smallest of the moment, this time the engineers decided to move the Super SteadyShot system to the objectives. It is the best choice when you want to give priority to reducing the size of the camera.